Sonya Zabiela and Beckie Kelling had a clear vision of what they wanted from their new enterprise, based at the Fleur du Jardin in Castel. “We wanted to create a discreet, tranquil oasis of calm and professionalism for our clientele and at the same time be able to cater for the growing desires of the people of Guernsey for something special and different”. The Lavender Rooms is a sumptuous salon which exudes the peaceful setting the girls were trying to achieve. As the name would suggest, the salon is bathed in subtle purple tones, nestled in the trees which surround the Fleur. 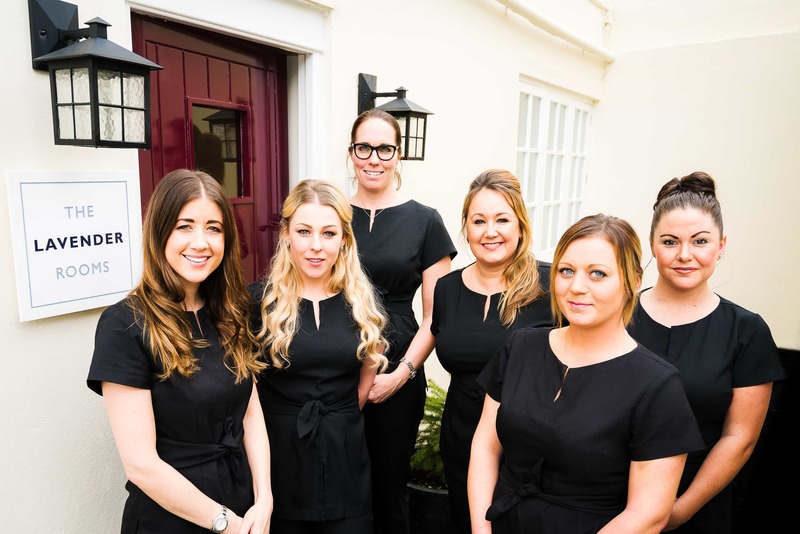 After more than ten years experience as beauty therapists, Sonya and Beckie, both knew the island was crying out for a salon which provided top quality products in an environment that was warm and welcoming. Many people do not know level of commitment and expertise which goes into building and maintaining a thriving salon. There is a high level of training in the products used and even the selection of those products demands a knowledge and understanding of the industry to ensure the right choices are made. 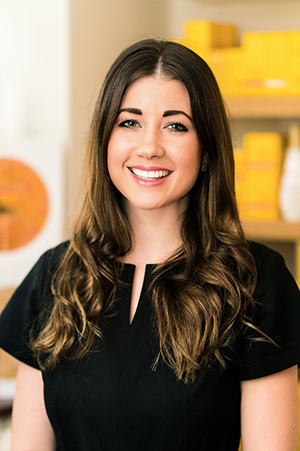 Sonya and Beckie are Decléor trained and, within six months of opening, they were awarded the “Decléor Aroma Gold Award”, which now makes The Lavender Rooms an Accredited Decléor Aroma Gold Salon. There is no disputing the quality of the Decléor products and, when used by experts, the results are magnificent. Through 30 years of research into the science of Aromatherapy, Decléor, the specialist in Aroma-Skincare, has created a unique, natural approach to caring for your skin. The Decléor range includes face, body, men and sun, and can treat all skin types from normal to dry, mature, oily and combination and sensitive and reactive. It is 100% pure, 100% natural, 100% preservative-free. “They are really beautiful products and we were very pleased and fortunate to be awarded such a prestigious award in such a short space of time”. The Lavender Rooms also stocks the exciting, CACI non surgical facial treatment and Vegan range of SpaRitual. SpaRitual is committed to creating eco-friendly products and packaging perfectly crafted for clients who can be confident of pure products. Vegan ingredients from around the world are used including many specially sourced and selected plant essences that are wild crafted or organic. The formulations are naturally coloured and free of synthetic dyes. 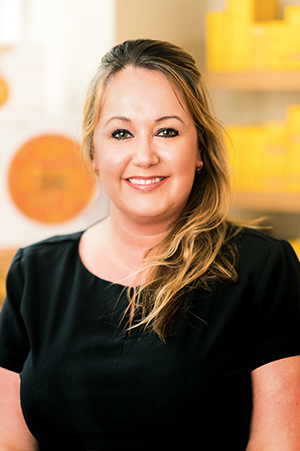 Sonya has been working as a beauty therapist for the past 23 years since she graduated from Chichester in 1994. 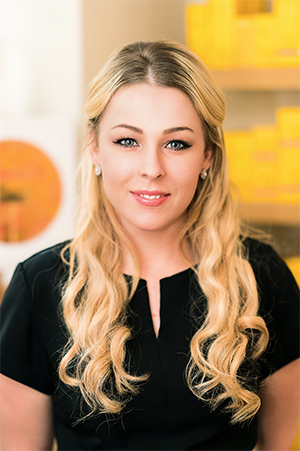 Sonya has gained significant experience having worked in a variety of local salons. She also lectured for five years in beautify therapy with the Guernsey College of Further Education. Her passion for training continues as the Lavender Rooms continues to grow its own local talent. Together with Beckie they opened The Lavender Rooms in October 2007 realising a dream for them both and they’re now looking at celebrating a successful decade as business owners. 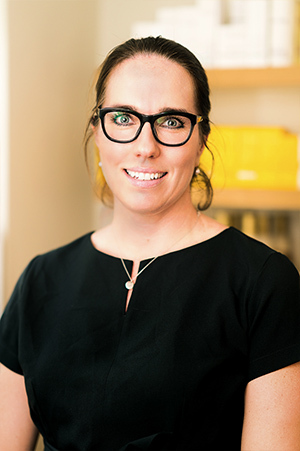 Sonya manages the business and maintains a thriving, loyal client list as a hands-on therapist. No two days are the same and she loves nothing more than connecting with her clients and providing them with a unique experience at the Lavender Rooms. Beckie, alongside Sonya, turned a dream in to reality in 2007 when they opened The Lavender Rooms nearly 10 years ago. She has always had a passion of all things beauty and has now been working in the industry for 17 years. 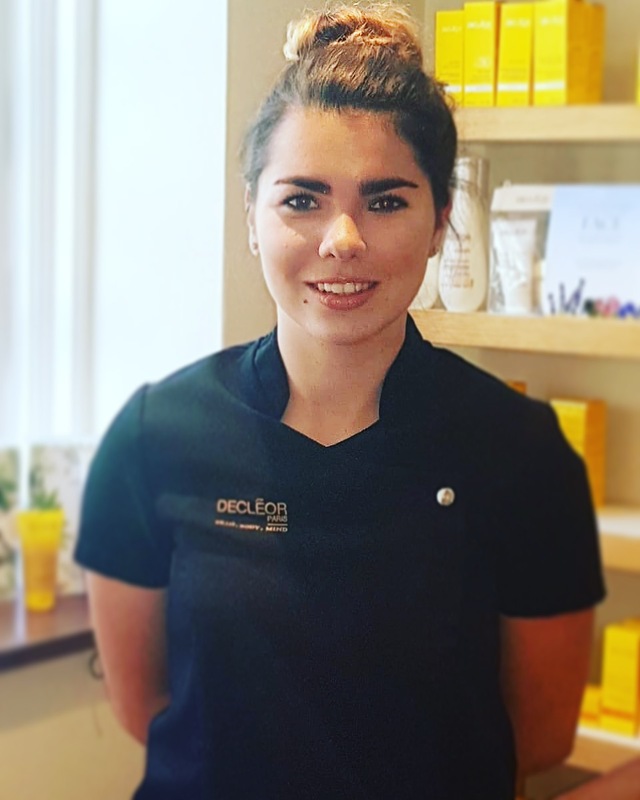 Like Sonya, Beckie she is very involved in running the business as well as providing the wonderful range of Declèor treatments the salon offers. It’s hard for her to choose her favourite treatment as she loves them all but she particularly enjoys doing pregnancy treatments for mums to be. Beckie had her first baby in September 2016 so her outside activities revolve around caring for and enjoying her daughter Honor with her partner Olly. She loves the outdoors, walking and keeping fit, travelling and food. Rebecca joined The Lavender Rooms in 2010 from The Spa at the OGH. Following Declèor face and body training, and building an enviable clients within three years at The Lavender Rooms, she was inspired to follow her dream, and went to work on cruise ships in the Caribbean for three years working for a prestigious on board spa company where, with 18 months, she was promoted to spa manager. After missing out on Guernsey life and missing the Lavender Girls she returned joined Beckie and Sonya to become the salon manager to help with daily running of the busy salon. Rebecca enjoys enhancing client’s well-being and inner and outer beauty. Her favourite treatments include massage and facials. Jessica qualified 14 years ago and first joined The Lavender Rooms when they opened. She enjoys doing all treatments the salon offer and says the best part of the job is all the lovely clients she meets. Outside work Jessica is married to Mike and mum to Filippa and Molly. As her family is in Sweden she likes to go back there as often as she can. Jessica loves the Guernsey outdoor way of life and enjoys spending time on the beach with the family in the summer. She enjoys cooking and having friends over for dinner. 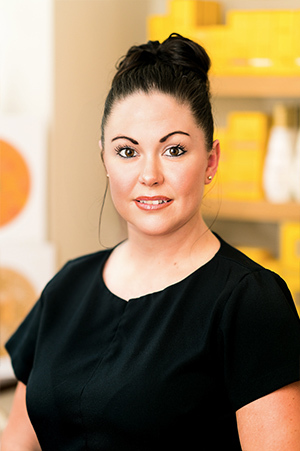 Since graduating from Chichester College in 2005, Becky has been working in the beauty industry off and on for the past 12 years. After spending a busy couple of years working at the award winning Ragdale Hall Health Hydro and Spa she returned to Guernsey and has worked in between having her three children. Becky enjoys doing a variety of treatments and says she loves the sense of wellbeing the treatments give her clients. Now her youngest child has started school she has joined the Lavender rooms team bringing her invaluable varied experience. When not working Becky she loves spending time with her kids – Ryan, William and Lily. She likes cooking and creative projects around the home, swimming and just enjoying time with friends when she can. Victoria Qualified in 2002 and left the island a few years later to travel with her job where she worked as manager of a six-star spa in Hong Kong gaining great experience and knowledge of all the elements of the beauty industry. She then worked on a cruise ship and a private yacht again gaining valuable and varied experiences. She loves doing all beauty treatments but specialises in hot waxing. After moving back to the island in 2013 she had a daughter in 2014 and lives with partner Luke. In any spare time she enjoys being with her family, cooking, swimming and taking Clubbersize classes. Lily-Mae joined The Lavender Rooms in 2016 starting as a receptionist on a Saturday. That September, she began the NVQ Level 2 & 3 in Beauty Therapy at The Guernsey College of Further Education. 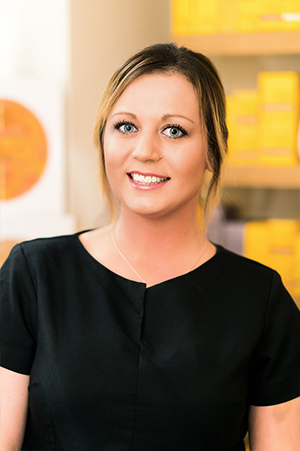 Since becoming fully qualified in July, and with her experience and proven competence on reception, The Lavender Rooms has proudly taken her on as a full time Beauty Therapist. Lily-Mae loves treating clients to our gorgeous Declèor facials as well as our Classic, Sumptuous and Shellac manicures. In her spare time she enjoys horse riding and traveling.